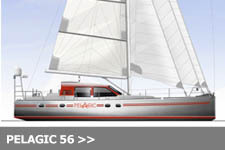 Conceived as a logical next step for a cost effective expedition vessel that would voyage to both high latitude destinations and remote tropical venues, the 82 foot Pelagic Explorer represents a step up in comfort and sophistication to address what is recognized as a new market profile. 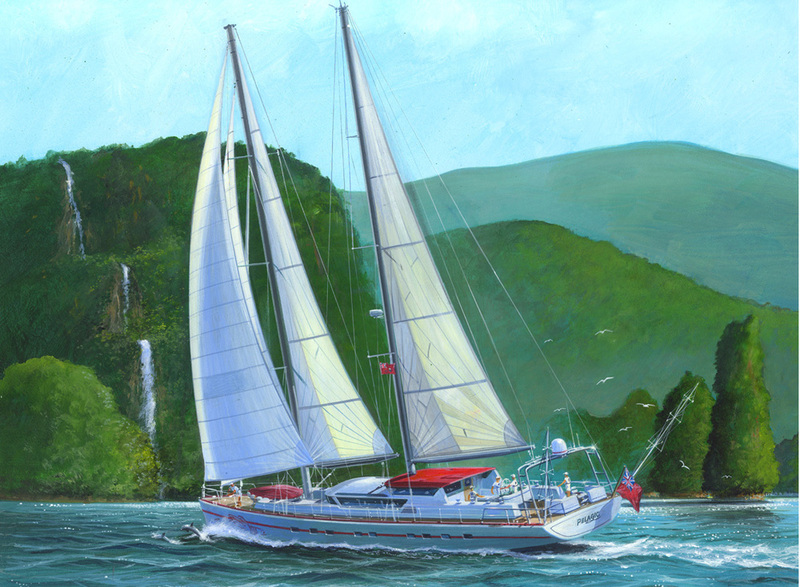 The vessel is intended for either charter in the same fashion as the 74 foot Pelagic Australis, but would also be ideal for a fractional ownership syndicate for those wishing to really get off the beaten track on extended voyages. 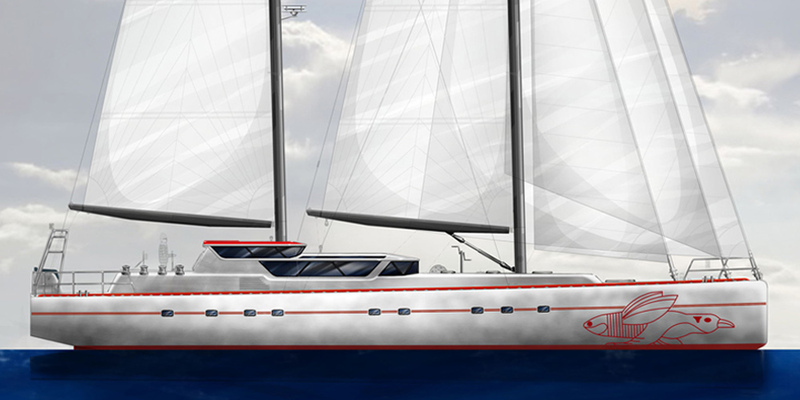 For cost purposes, not least of all in the manning requirement, she is designed at a maximum 25 meters LOA that conforms to the MCA Small Commercial Vessel Code MGN 280. 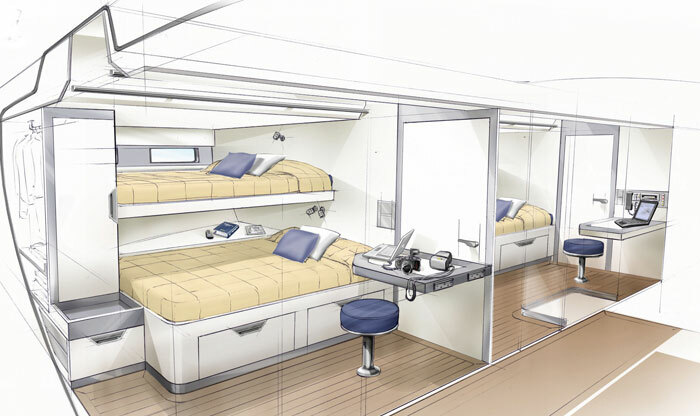 Rather than increasing all up guest numbers from the 74, Pelagic Explorer would accommodate the same eight in more or less four symmetrical cabins all with en suite plus a private communications facility. Crew would be increased to four billeted in two cabins aft outboard of a lounge/library area. 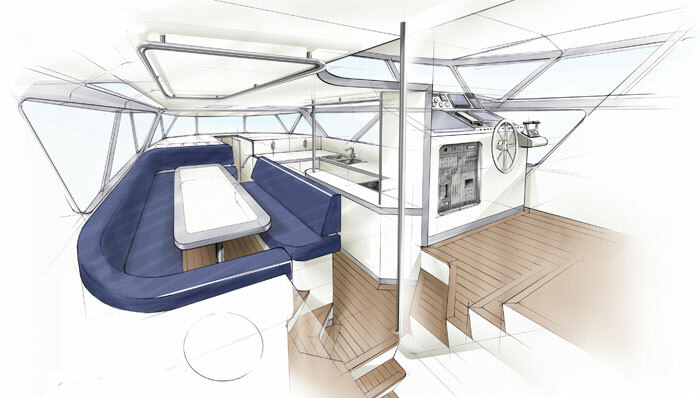 A single owners cabin can be realized by removing the bulkhead between a set of cabins either side. The principal feature of the interior would be to push the day area with main salon seating up to a spacious deckhouse incorporating the galley. 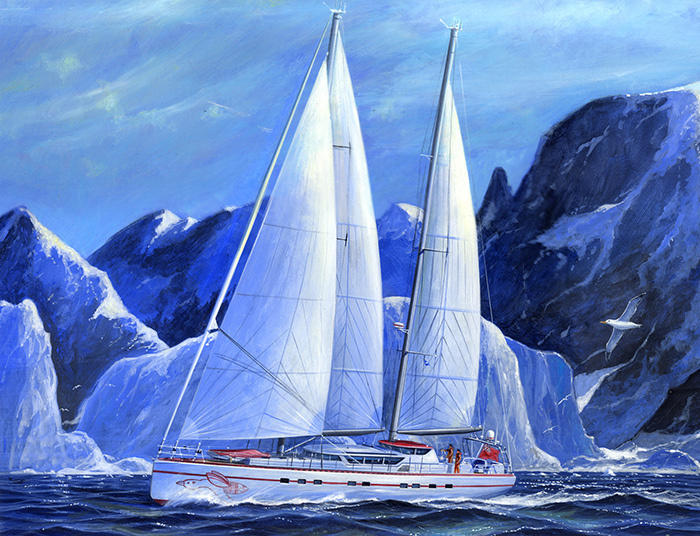 Rather than hiding the galley in the bowels of the ship, the galley would be part of everyday living that is in keeping with our Pelagic philosophy of guests pitching in with the crew on cooking and galley duties, in order to form a cohesive team in the expedition spirit. 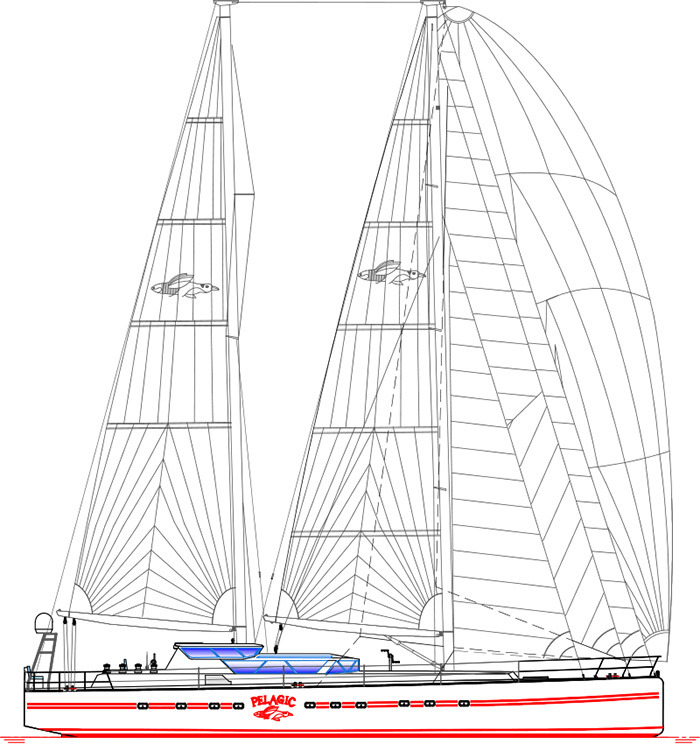 Built robustly of aluminum with a centerboard rather than a lifting ballast keel, the flexibility of draft reduction for safety and ability to beach (fundamental characteristics of the previous Pelagics) would be achieved by a stub keel carrying the ballast as the forward point of a tripod completed by twin skegs supporting fixed rudders. 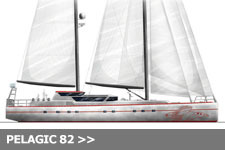 The twin engine configuration solves manoeuvrability issues under power and also provides redundancy. 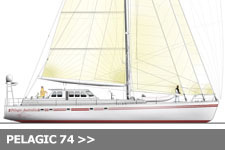 Keeping the sail handling fully manual is possible by split rigs and small sail areas. 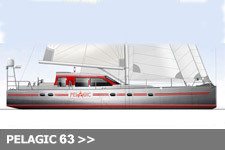 Of course, there are more ropes to pull and that is also the idea of a Pelagic Design – give your people something to do!